Susan Fainstein is a professor of urban planning at Harvard. She wanted to achieve social justice within the context of urban planning. She had a vision of creating a city where public investment and regulation would produce equitable outcomes rather than support the wealthy. There were a lot of social theories that came round in 1970s. She says that there were excellent theories of justice but none of them talked about justice. One of the political philosophers she mentions is John Rawl. She got an opportunity to interview one of the philosophers and she asked her if the theories of social justice worked in the real world to which the philosopher replied that she was a philosopher and did not worry if the theory worked in the real world or not. So Fainstein says that she is an urban planner and would have to worry about the working of social theories in the real world. This inspired her to come up with an urban theory of social justice. She coined the term “The Just City”. She says, the just city does not necessarily mean a good city because a good city would have many more attributes than just the three central principles proposed by her. She conducted three casestudies namely New York, London and Amsterdam and studied them in detail with respect to these three central concepts. She was of the view that New York was very close to the third principle i.e. Diversity but was distant from the first two principles namely Equality and Democracy. London had Diversity and Democracy but lacked Equality. She was of the view that Amsterdam was the closest we could possibly get to an ideal just city. She says Amsterdam was a more equal city than it is now. 1976 was identified as the turning point in western capitalism. Restructuring of global economy took place. Comprehensive planning in London and Paris was undertaken to attract capital. City planners talked about market realism and economic growth which crowd out other values such as those of social justice. In the past, city which in real life best captured equality, diversity and democracy (criteria of urban justice) was Amsterdam. From the late 1970s and 1980s onward – the restructuring of the global economy and its urban impacts undermined comprehensive planning and welfarism on which Amsterdam’s development depended. Deindustrialization and de-urbanization in the West made obsolete classic models that had reacted to the industrial city. Enormous international migrations facilitated an ever louder discourse of racial and ethnic difference. Social housing, especially large projects were attacked for concentrating poverty and bringing stability. Amsterdam has been a role model in propagating social housing. 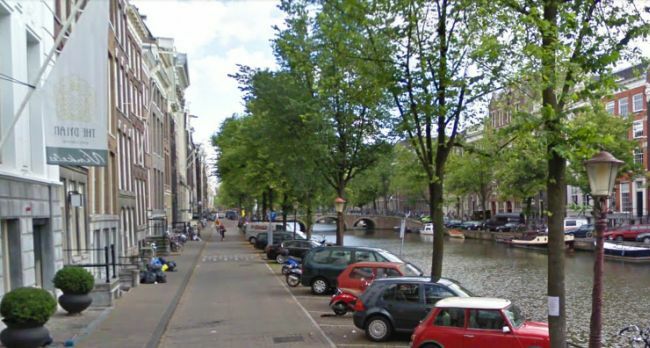 We will discuss the factors which made Fainstein believe that Amsterdam was close to a just city. This entry was posted by Benzu JK on December 19, 2013, 5:16 am and is filed under Town Planning. You can follow any responses to this entry through RSS 2.0. Equality, democracy, diversity; what a perfectly obscure, opaque, silly, and very likely dangerous set of values for an urban planner. Equality … of what? Attractiveness? Likability? Income, savings and investment? Athletic ability? Connections, position, and prestige? What on Earth is the author even referring to, much less the question of how urban planning is going to assure that we are all equally attractive (substitute your preferred attribute here), or have the same opportunity to be attractive (substitute your preferred attribute here). Democracy? Really? Very wisely, Plato held over two thousands years ago that democracy is not just a legitimate form of government (politeia) gone bad, but that democracy is the WORST possible form of government. The founders of America recognized this and went far out of their way to insure that we would never subject ourselves to pure, rampant democracy. What we see now in the political life of the United States is the mutation of Constitutional politeia into populist democracy. Finally, diversity. Diversity of what? Everyone agreeing on the same political agenda? What this ‘diversity’ means is that if it doesn’t follow tolerance, if tolerance of all and by all isn’t first established, then what does it mean? It means replacing one prosperous and intolerant society with another that is no more tolerant and far less prosperous society, to boot. 1) Assuming the author is untrained in philosophy: please stick to urban planning and architecture and leave philosophy to those who are trained in it. 2) Assuming the author is trained in philosophy: you were supposed to remember what you learned in class about philosophical thinking and apply it diligently to issues in daily life. Its a concept of urban planning by academician Susan Fainstein of the Netherlands. I am a libertarian and not really a fan of this concept myself.